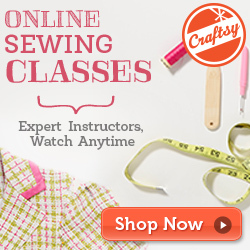 Once in a while Craftsy will offer patterns and tutorials and an amazing price. This is one of them. I love their video tutorials. You can start and stop when you want, and then pick up right where you left. You can also make little notes in the video clip, so you can easily find that part of the video again.